I don't know when it happened. I don't why it only works of Internet Explorer. This is a great discovery nonetheless - Dynamic Resizing of images in Google Sites. It wasn't until recently that I started using IE for making Google Sites. The reason - Firefox and Chrome are logged into two other Google accounts. Anyways, that's not exactly important, what is important is that instead of the typical [ Small - Medium - Large ] you can scale an image to whatever you want it to be, and it looks pretty good too! Check out these two screen shots. Resizing capability with Google Sites using Internet Explorer 9, who figured? Dynamic scaling of images is a wonderfully nice tool to have. 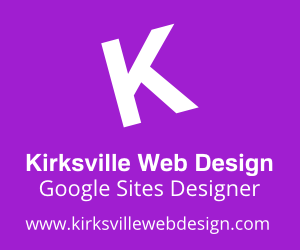 This development allows for flexibility within Google Sites. No longer must I have measurements exactly right for a vertical line divider...I can extend it when I need to. Will this interesting happenstance roll out for Google Chrome and Firefox? Is this an unannounced update or just a glitch that works really well? I really look forward to your comments and theories. Website Development bahrain Website Development Bahrain has the experience and the expertise to design a website that fits your needs and utilizes your budget to deliver optimum and creatively designed website. Wonderful blog & good post. Its really helpful for me, awaiting for more new post. Keep Blogging! Nice Post!! pretty informative. Thanks for providing such a nice post. Thanks, you solved my problem. As of today, IE still allows scaling, FF still does not. Did you ever find any explanation for this?